The Cumberland Society of Chartered Accountants is delighted to invite you to their Annual Dinner to be held on Friday 13 March 2015 at The Roundthorn Country House Hotel, Penrith at 7pm for a 7.30pm start. The dinner, which is black tie, will commence with a drinks reception at 7pm attended by a photographer from Carlisle Living Magazine. A three course meal will be served from 7.30pm followed by speeches. This year’s speakers are the Society Chair Lisa Murchie, ICAEW Deputy President Andrew Radcliffe and our guest comedian Mike Farrell. There will be a choice of starters and desserts on the evening but you must pre order your choice of main meal. roast topside of Cumbrian beef served with Yorkshire pudding, natural gravy and horseradish sauce. A vegetarian option is also available. We intend to provide free transportation where required, subject to sufficient demand. Should you require transportation please could you indicate on the form below so we can make sufficient arrangements. The evening will cost £40 (including VAT) per person.Tables of 8 and 10 will be available along with mixed tables for individual members wishing to attend. The society regrets that there can be no refunds should you cancel after Friday 13th February 2015, should you be unable to attend a substitute is welcome at no extra charge. Matthew Hoggard MBE, who is one of the most successful cricketers to have played for England. He was a vital member of the inspirational England side that won the epic Ashes series of 2005 and has been a model of consistency throughout his test and ODI career, representing his country on 93 occasions. His world class performance was later rewarded when his name was included in the 2006 New Years Honours list for an MBE. Playing a pivotal role in one of the most successful periods in English cricket, Matthew has a remarkable story to tell. Malcolm Follos is the MD of Sensei UKE. Specialising in working with leaders from a wide range of organisations Malcolm helps them engage human performance to deliver strategically significant results. This session will show how to access the discretionary effort people choose to deploy when they are fully engaged and enthused in the work that they do. Using insights from some of the world’s leading organisations we will understand what it takes to tap the natural curiosity, competitiveness and desire to win that exists in all of us and how to harness this energy in order to deliver significant strategic results. Discretionary effort – the ‘Bob’ story – a true story of how one man, doing an everyday job deploying his discretionary effort intelligently made a real difference. The treadmill effect – a highly interactive, mildly competitive and fun exercise for all the participants to engage in that is designed to demonstrate the power of unleashed discretionary effort and the impact that it has on performance. The keys to engagement – using the shared experience of the exercise we will tease out the key areas of focus for leader’s intent on improving the productivity of their business. What kills passion in your organisation? – time to think about and share with fellow participants the habits and rituals that dissipate energy in your business and to settle on one action that can be taken to remove a passion killer. Summary and close – in this open forum Q&A session I will answer specific questions and where appropriate share examples of how some of our clients have successfully tapped into discretionary effort and directed it to deliver breakthrough results. Malcolm Follos is the MD of Sensei UKE. Specialising in working with leaders from a wide range of organisations Malcolm helps them engage human performance to deliver strategically significant results. An accomplished management consultant, executive coach, key note speaker, author, conference facilitator and trainer Malcolm’s consultancy career has enabled him to work with leadership teams from some of the world’s leading organisations. Designed for Partners and staff involved in carrying out due diligence assignments. To understand where financial due diligence fits in relation to other elements of due diligence and the general principles of approaching such assignments. To provide practical guidance for those conducting due diligence including in relation to risk management and limitation of liability. 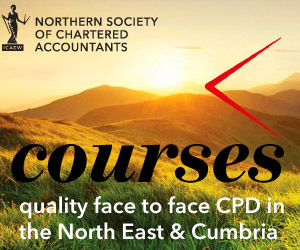 This course will look at recent legislation changes and proposals for the future relating to accounting & auditing, for both incorporated and unincorporated charities, helping delegates avoid possible pitfalls. The course is suitable for all accountants involved in the audit and preparation of charity accounts.